We loved our DIY Bias Tape Weaving so much that we knew we had to make something with it! The trick was deciding exactly what to make with it. After much deliberation, the Bias Tape Weaving Pillow was born! This eye-catcher is the perfect puff to grace your couch this summer. In punchy colors, it adds a splash of color and an interesting texture. It would look equally lovely in muted shades for a more subdued look. 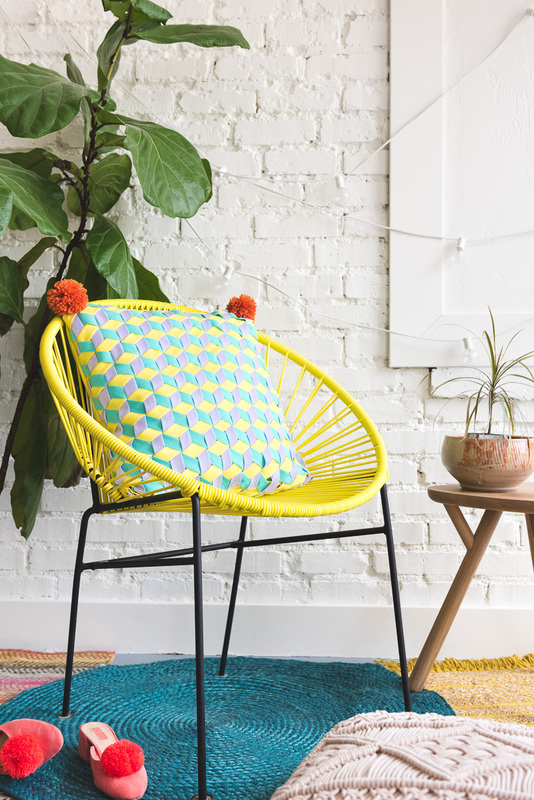 Just pick your palette, whip out some bias tape using our tutorial, and get weaving!